Want to see good art by local artists? Have you thought about a trip to Graton? The Graton Gallery is housed in a quaint storefront on the tiny town’s central block, defined by a stop sign at either end, just off Highway 116, just north of Sebastopol. Run by a small core of partners, all artists, the gallery likes to feature the county’s best, while having some fun with its exhibits. 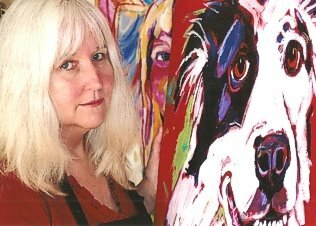 Case in point: ‘Good Dog, Bad Dog,’ a show of evocative and often whimsical art by painters Mylette Welch and Ann Martin Garland, and sculptor and assemblage artist Monty Monty, opens Tuesday (Oct. 27) and runs through Dec. 6. The details — Address: 9048 Graton Road, Graton. Hours: 10:30 a.m.-6 p.m. daily except Mondays. Reception: 3-6 p.m. Nov. 1. 829-8912, gratongallery.com.